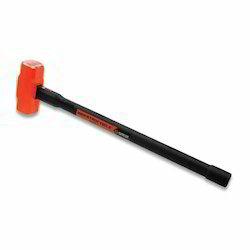 We are offering Sledge Hammer to our client. - Size 100 to 1000 gms. Drop forged Carbon Steel Hammer Head. Duly Hardened & Tempered. Available with or without Seasoned Wood Handle. 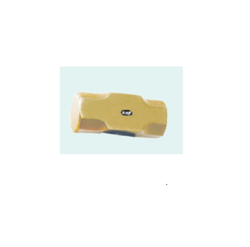 Specifications WE ARE LEADING MANUFACTURER AND EXPORTER OF SLEDGE HAMMER SIZES. Allow steel body with tubular handle and rubber grip & cellulose acetate mailets. Manufactured from high quality Carbon Steel or Chrome Vanadium (Alloy Steel). Drop forged, heat treated, induction hardened and tempered with precision ground striking face and pein. Fitted with high quality fiber glass handles with an ergonomic rubber grip. - Drop Forged Head from Carbon Steel. - Handle Length = 10" to 36"